Weekly Gaming News summary for the week of March 1st (February 22nd – March 1st). 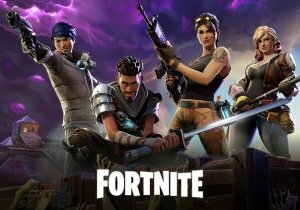 Season 8 of popular Battle Royale game Fortnite has arrived, bringing with it a massive volcano! There’s plenty of Pirate and Ninja themed gear to grab in the new season, along with lots of new items for Fortnite Creative mode including the Jungle Temple Prefab and Pinball Bumpers. Fortnite: Save the World has also received an overhaul to its Hero Loadout UI and eight new quests for players to participate in. In another bit of Fortnite news, Epic Games has announced that the first Fortnite World Cup will take place in July with a $30,000,000 prize pool up for grabs. Furthermore, the Fortnite competitive scene will see over $70 million more in prize support throughout the remainder of 2019. 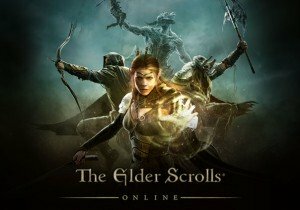 Our lead writer over on MMOHuts.com, Jason, got his hands on the Elder Scrolls Online’s latest DLC, Wrathstone recently! We’ve got a full video featured on our channel where you can see the Frostvault dungeon in its entirety with developer commentary! You’ll be able to click over to that video on the end screen of this, so stay tuned after the recap to check it out! Daybreak Games and Standing Stone Games announced this week that the Mines of Moria expansion is on its way to the Lord of the Rings Online Legendary Server. Players on the legendary server, which is Daybreak’s take on a legacy server for the game, will have the chance to relive the launch of the first ever expansion for Lord of the Rings Online, which will see two powerful classes added in the Warden and Rune Keeper. They’ll also be able to design and create legendary items that will evolve as they grow stronger. If you’re a fan of LotRO and haven’t played in a while, there’s never been a better time to relive the adventure than right now, from the beginning, on the Legendary Server. A kickstarter for Spycursion, a hacking/espionage edutainment game being developed by defun games, launched this week. The new project hopes to educate people about software and the importance of cyber security. The MMO itself is built around a player-driven economy and will feature realistic hacking using a fictional programming language known as “Slang”. If you want to see more about the game, you can find a link to the kickstarter page down in the description. Aurora Studios, developers of Ring of Elysium, teased some upcoming features for their next Adventurer Pass season this week. This third season will include a new gun, a ton of new weapon skins, and an all-new seasonal character to unlock. Aurora also plans to buff underperforming weapons and add new weapon features to existing guns, like being able to add a red dot sight to the Desert Eagle. The new seasonal character was also shown off, though neither a name nor additional details were provided. He looks to be a pirate of some kind, and we’ll feature more information about him once we know more. 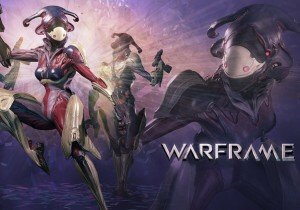 Digital Extremes dropped a new update for Warframe this week, and for the first time in the game’s history, it dropped for all platforms simultaneously. Nightwave, the name for the update, is built around an ongoing radio broadcast to create immediate, story-infused gameplay. Tenno listening to Nightwave will experience the rebellious, smoky allure of host Nora Night, the mysterious character whose rogue radio transmissions kick off with Epsiode 1 of the Wolf of Saturn Six. Rewards for this content are exclusive and time-sensitive; you’ll only be able to get them for the duration of the ongoing series. These range from things like Orokin Catalysts, a new currency called Wolf Cred, and much-sought-after Weapon and Warframe slots. In a huge bonus for Nintendo Switch players, The Wolf of Saturn Six update will also include all the content of Fortuna: The Profit Taker, alongside TennoGen, the Digital-Extremes-approved community created content players love. TennoCon tickets are also on sale now, with Full Day tickets starting at $30 CAD. The latest patch notes for Brawlhalla are here, with the centerpiece of the update being the Enchantress from Shovel Knight! The Enchantress appears as an Epic Crossover skin for Fait, alongside a handful of other skins for Shovel Knight, Plague Knight, King Knight, Black Knight, and Specter Knight. A daily login bonus of 250 gold is available for the duration of the new event, and the Plains of Passage from Shovel Knight is featured as the Brawl of the Week. 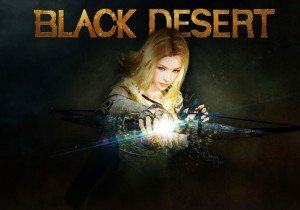 Black Desert Online is celebrating its third birthday in the west! Naturally, there will be multiple events to mark the occasion including a free invitation to play the Battle Royale mode which is only available from the BDO website. Players who participate in the free event and manage to kill five players will receive a copy of the game for free! If you can manage to reach the top three by March 27th, you could win a substantial amount of Kakao cash! 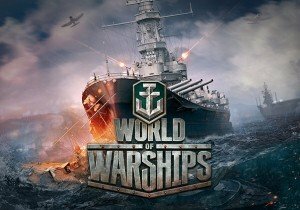 Britain is finally getting some love in World of Warships! The 0.8.1 update brings British Aircraft Carriers to the game. Three Royal Navy carriers including the Mighty tier IV Hermes, tier VI Furious, and tier VIII Implacable will be made available upon completing new missions and directives of the “Fly! Strike! Win!” in-game event. March’s update will bring the remaining carriers. The British planes have a good amount of HP, which means they can withstand more powerful Anti-Air defenses. The planes themselves are slower than their American and Japanese counterparts, but they carry powerful rockets and high-level bombs to make up for their speed. Also, from now until March 14th, players who log in each day will receive free Air Supply containers which include Naval Aviation collection pieces, camos, signal flags, resources, and combat missions that can help players earn extra ships. The team behind GWENT reviewed the upcoming update for the game this week, with seasonal mode being one of the prime focuses. This new seasonal mode features seasonal trees which will add new objectives and rewards to your play experience. Card backs are also making their way into the game! They’ll function just like leader skins do, with each faction having a default as well as extra ones that can be used once unlocked. 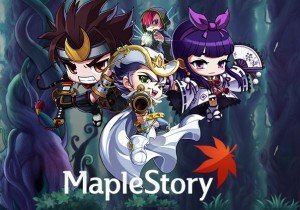 MapleStory is introducing a new Retro World event in March! This event will last from March 6th until April 9th, for characters level 61 and over. 8-bit pixelated worlds await where you can hunt monsters, collect coins, and hone your combat skills to a fine point. There are also two mini-games you can play to train up for the challenges that Retro World will offer. This update also includes a new Detective Rave’s Case Notes theme dungeon, where characters over level 175 can uncover the insidious plot under way in the city of Savage Terminal. If you complete the dungeon, you’ll receive Detective Rave’s Honorary Assistant medal. Hearthstone is preparing to enter the Year of the Dragon! 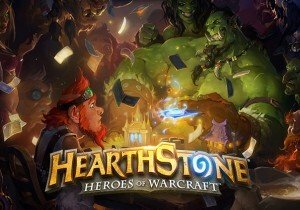 For those who aren’t in the know, Years in Hearthstone are like Standard block rotations in Magic: The Gathering. Once a new year begins and the first set for that year launches, sets from the previous year are no longer legal in standard mode. The big change this time around is that Year of the Dragon will feature an ongoing story told across all three expansions for the year. 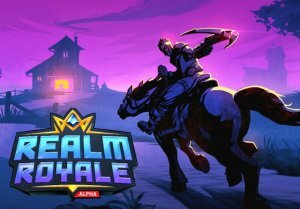 Realm Royale recently dropped the patch notes for Open Beta build 15, Shadowfall. New to the update is the Shadowfall bundle, which contains a variety of cosmetics including a new Warrior skin, the Knightmare mount, and the Shadowbeak Chicken. The bundle also includes 850 crowns. The Venom Pistol received a visual overhaul in this update, as well as a new name: The Shredder. OB16 also introduces cross progression! Any cosmetics and account progress you make on one platform will now show up on the others. For the full details on the balance changes made, you can check the full patch notes below. We also want to take a moment to mention our new Beginner’s Guide to Magic the Gathering! Jason has put together a guide for anyone who wants to learn to play Magic Arena but isn’t sure how to get started, and it’s massively helpful. You’ll learn about the rules of the game and beginner deck building strategies to get you started in the hit free-to-play PC game, but that also translate to real-life Magic as well! Revelation Online is celebrating their second anniversary with a pair of events—a login event and the “Second Anniversary Party Contest”. The login event will last until March 8th and will feature eight consecutive bonuses that you’ll need to log in every day to get the most from. To use them, you’ll need to amass points from the daily Road to Greatness tasks. The Second Anniversary Party Contest will go on until March 6th. Players will need to submit their entry on the Anniversary_Party_Contest channel on the official discord server. All you must do is submit screenshots, a collage, text, video, or even a comic strip of party artwork. The top three party planners will receive some incredible prizes including a modified Sky Voyager, Brocaded Embroidery, the Happy Trails outfit, and plenty of Aurom. Today, Behaviour Interactive announces a new Pioneer Pack for their upcoming Warhammer 40K MMO, Eternal Crusade. Nexon has launched the open beta of KartRider Dash on Facebook.